Bohemia have issued an official statement regarding last week’s news of the arrests of two men on the Greek island of Lemnos under espionage laws. While it clarifies the events, it’s not fantastic news: the two men, Ivan Buchta and Martin Pezlar, were holidaying, they were not asset-gathering and they didn’t enter restricted military areas. They are, however, still being held by Greek authorities, who have taken similar charges against tourists very seriously in the past. The full statement is below. “Since last Sunday, when two Bohemia Interactive, a.s. employees, were arrested on the Greek island of Lemnos, much speculation about what happened has circulated online. It’s been rumoured that they entered restricted military areas or gathered photographic references of military bases in order to improve the visual fidelity of Arma 3, a PC game currently under development by our company. Far in advance of any formal charges – only hours after they were detained by the local police – many media outlets immediately suggested spying and, only one day later, specifically referenced Arma 3. Having travelled there, and after meeting personally with them both, as well as their lawyer who is fully acquainted with the Greek authority’s investigation file in detail, we can assure you that these insinuations are completely false and without substance. These employees – our friends, Ivan Buchta and Martin Pezlar – visited the island as tourists. Their holiday was a product of their interest in the island, triggered by their work on Arma 3 over the past two years of development. They took photographs and videos in public areas, as countless tourists arriving to enjoy the beauty and hospitality of Greece may well do. These included a short video as they drove through the main road passing around the international airport, where in one short part of the video off in the distance some hangars and other buildings of the complex can be seen. It’s very likely that many tourists may have pictures similar to those taken by Ivan and Martin in their own family albums, without being aware that they put themselves or their families at risk. We sincerely hope that the whole situation is no more than an unfortunate and deep misunderstanding. The in-game Limnos is close to completion, and it’s far from an identical replication of the real place. It was heavily modified to fit the game’s backstory, a purely fictional 2035 setting. 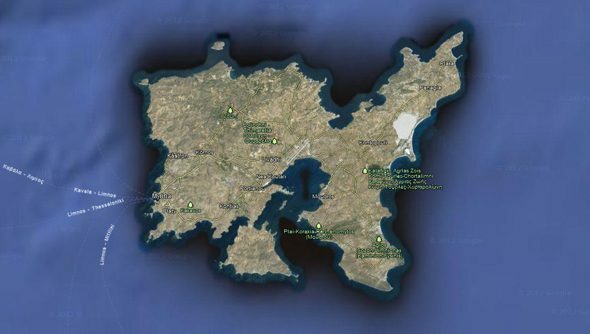 It was rescaled to only 75% of the real island, and it does not attempt to display any real world military installations situated on the island of Lemnos. They visited Lemnos on their holiday as tourists. They did not enter any military area. They did not take any pictures of any military objects to be used in Arma 3. What a horrible situation indeed, one that will hopefully be cleared up soon.We’ll bring you updates on this as soon as we hear more.